D-Protin Chocolate powder is a nutritional supplement of proteins, essential vitamins and minerals, which is specially formulated for Diabetics and Pre-Diabetics. D-Protin is indicated in Type 1 Diabetes, Type 2 Diabetes, Gestational Diabetes and Pre-Diabetes. This protein powder supplement also improves the overall health. 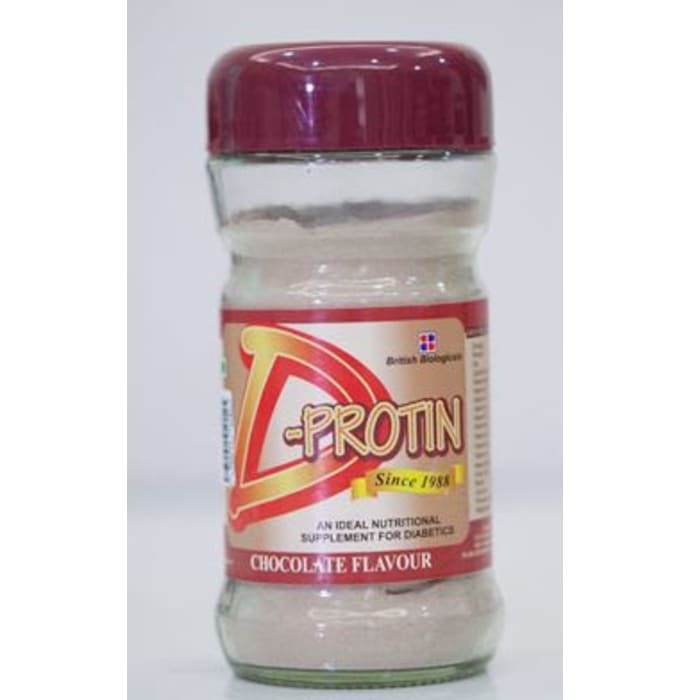 A licensed pharmacy from your nearest location will deliver D-Protin Powder Chocolate. Once the pharmacy accepts your order, the details of the pharmacy will be shared with you. Acceptance of your order is based on the validity of your prescription and the availability of this medicine.